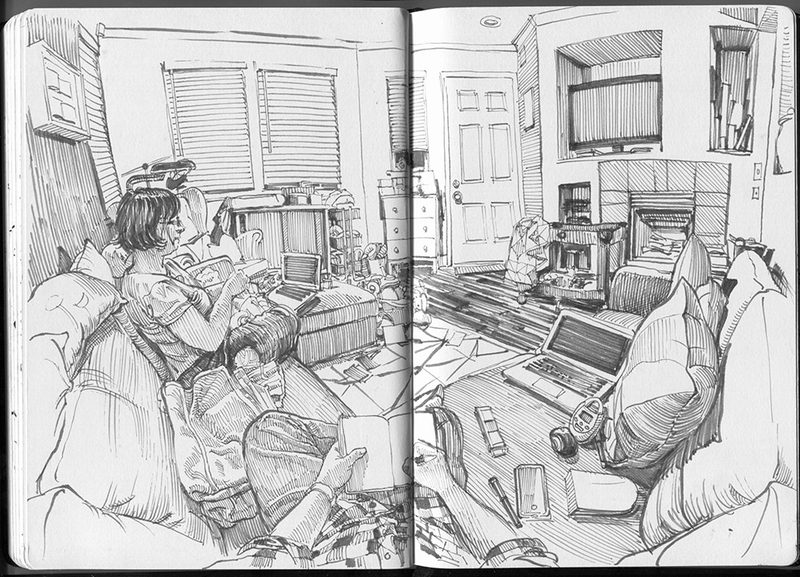 Being able to draw is a cool skill, but inserting cameos for your self, is better still. 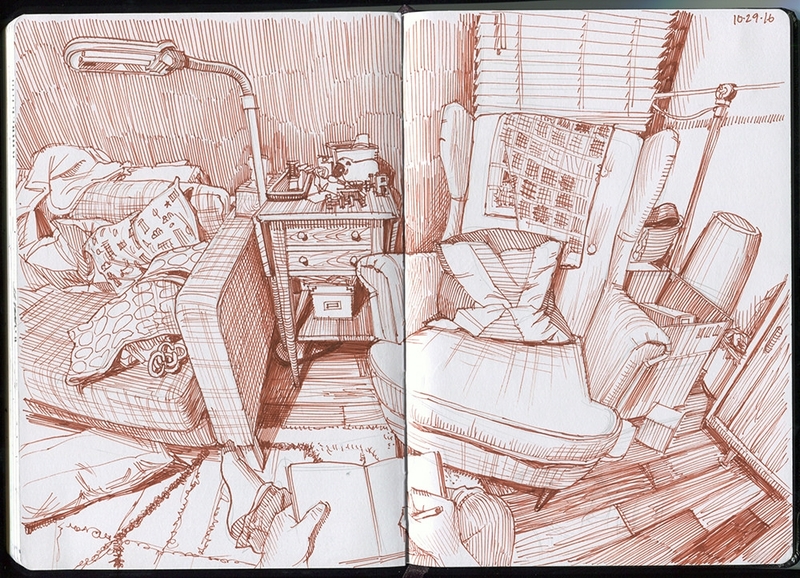 As well as drawing, Paul Heaston paints, but he says that he is not as passionate about this medium. 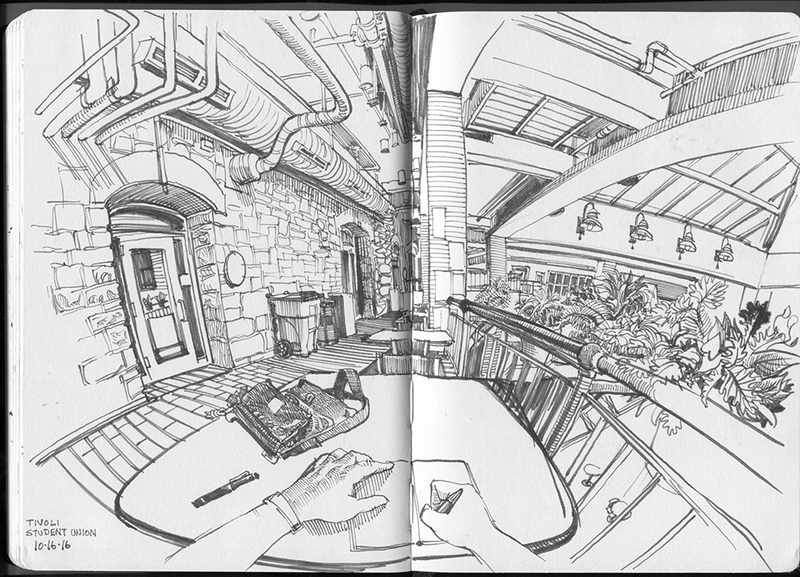 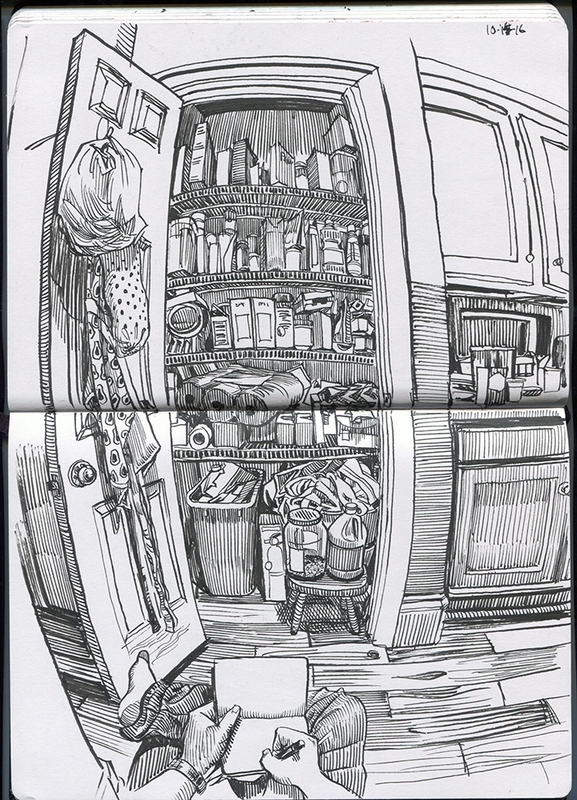 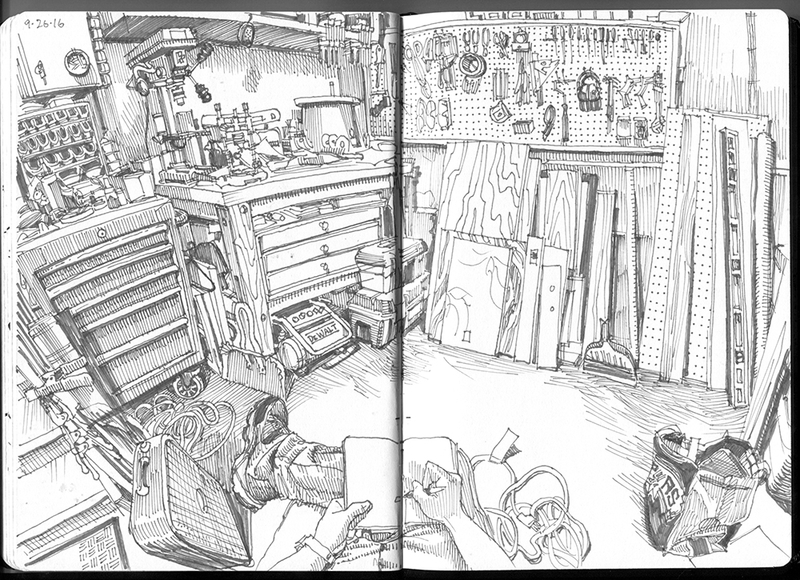 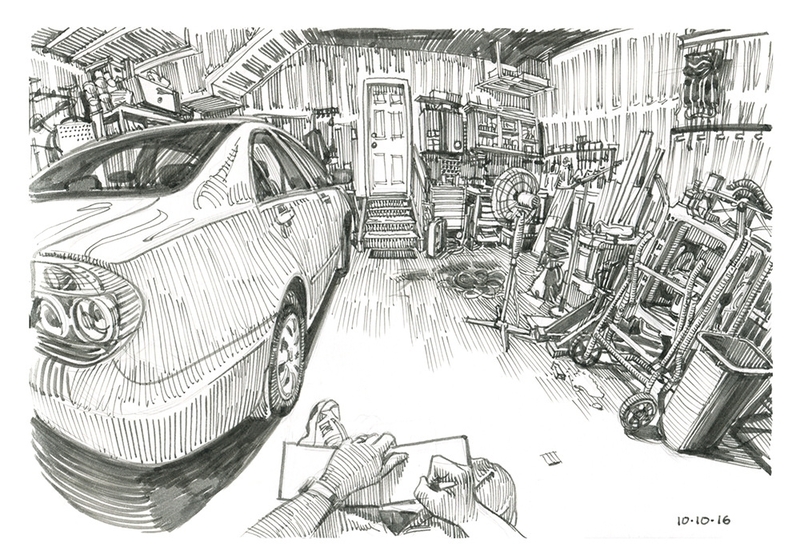 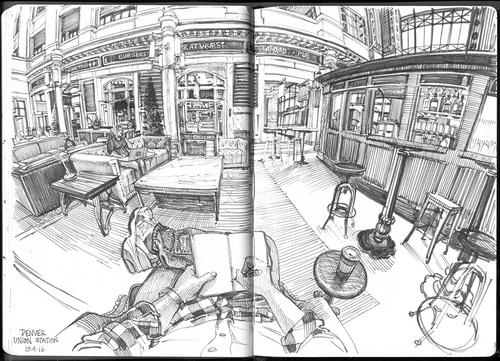 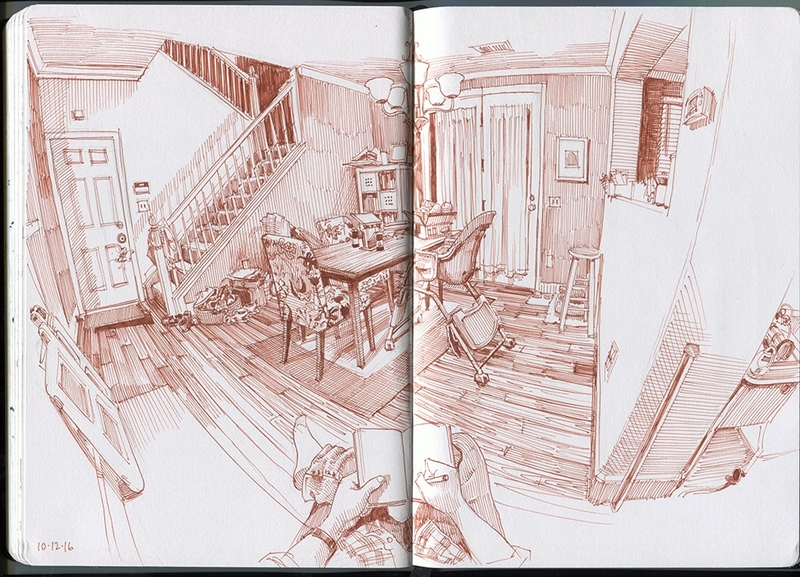 He has been working as a correspondent for Urban Sketchers since almost its inception. 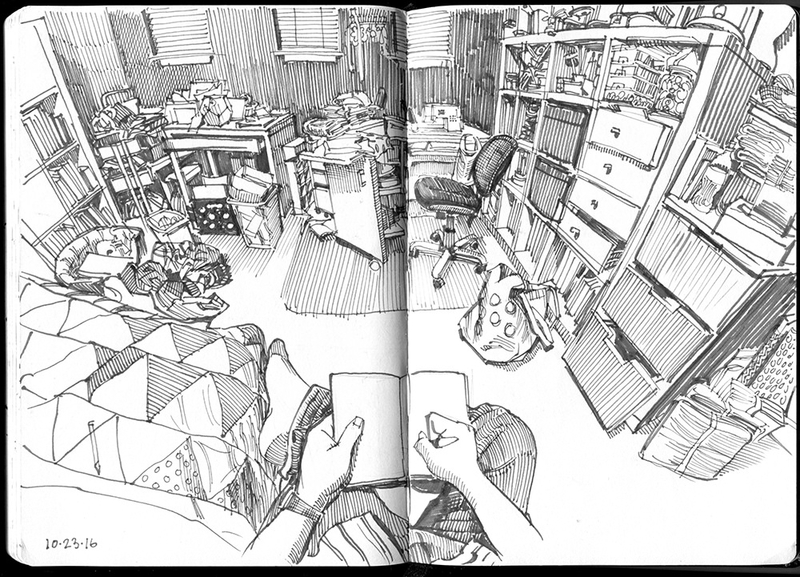 Heaston shares his time doing this and teaching and selling art supplies + blogging. I like his work so much, that this is the third time we have shown his drawings here on DesignStack. 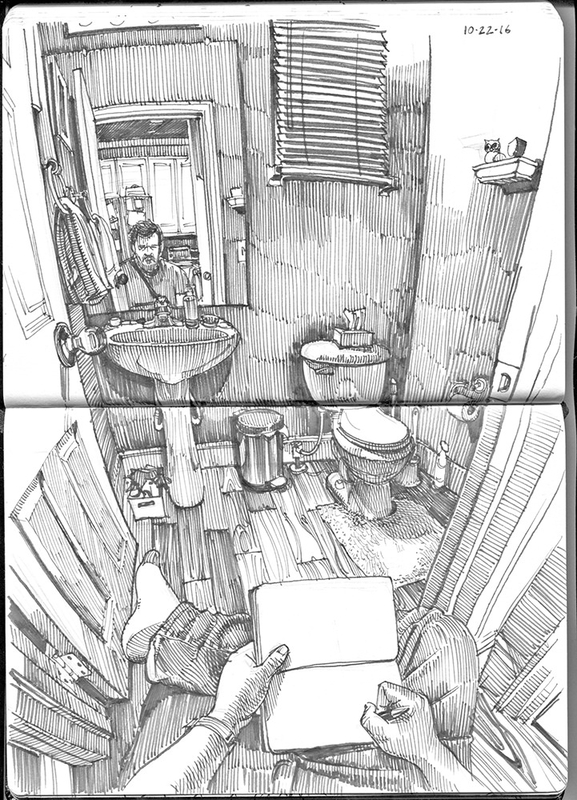 I hope you enjoy them too and that this post can bring you on a mind vacation, for the next few minutes.